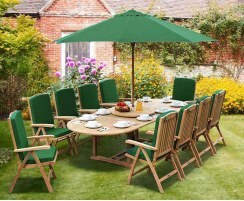 These 10 seater garden table and chairs sets are available in a range of different styles, shapes and sizes so you're guaranteed to find the perfect 10 seater dining sets to suit your outdoor setting. 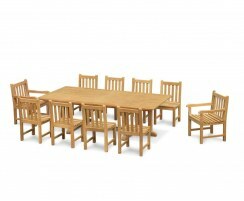 These dining sets for 10 are built to last throughout the seasons and are excellent examples of craftsmanship, quality and style. 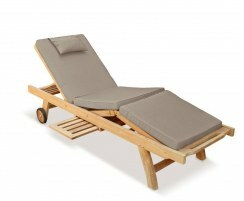 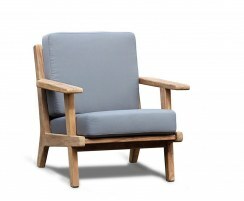 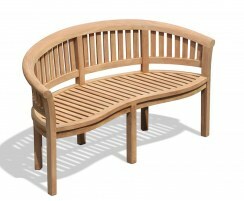 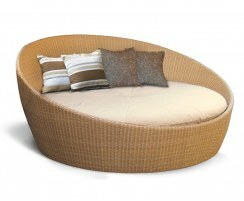 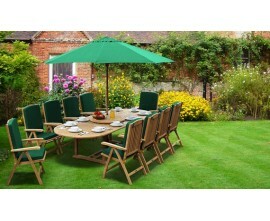 Choose from our range of 10 seater garden furniture sets and order online today. 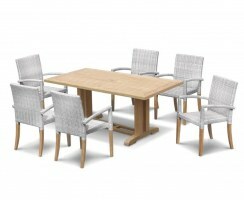 These 10 seater garden table and chairs offer copious space for guests without sacrificing their elegant style. 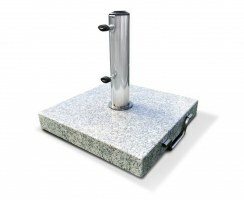 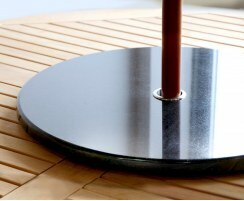 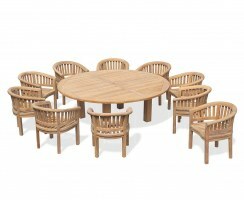 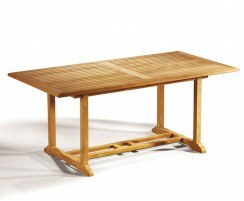 Ideal as a focal point in any outdoor setting, our dining sets for 10 will enhance any garden. 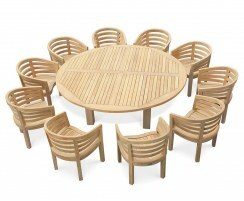 Made from sustainable, durable grade-A teak, our 10 seater garden furniture sets provide the highest quality alfresco dining and are guaranteed to withstand the test of time and weather.